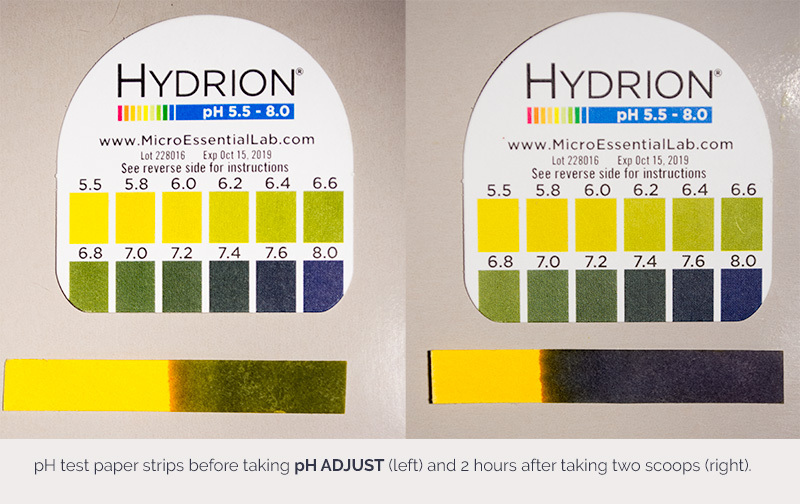 I have used HPDI’s pH Adjust alkalinizing formula for about two months, and my experience has been quite interesting. 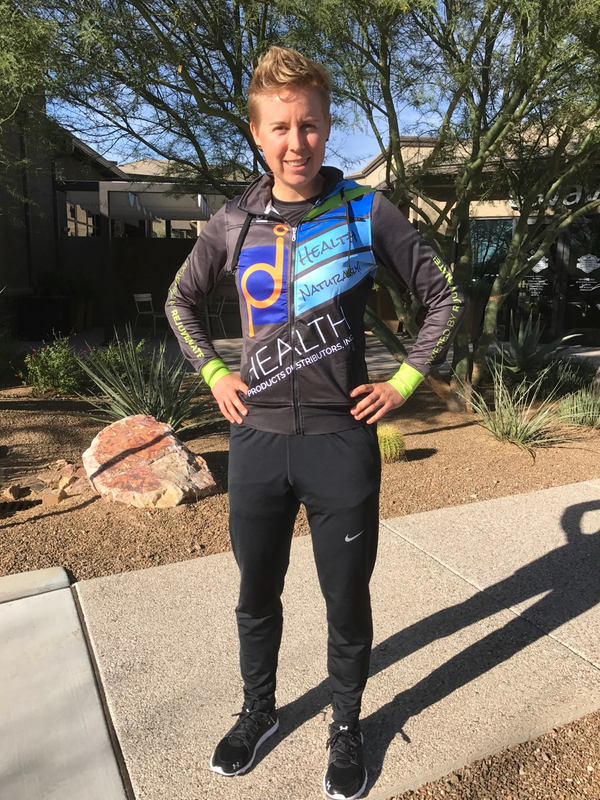 I can see how my body reacts on a chemical level to different stresses—such as racing, travel, training, rest, and different foods I eat. 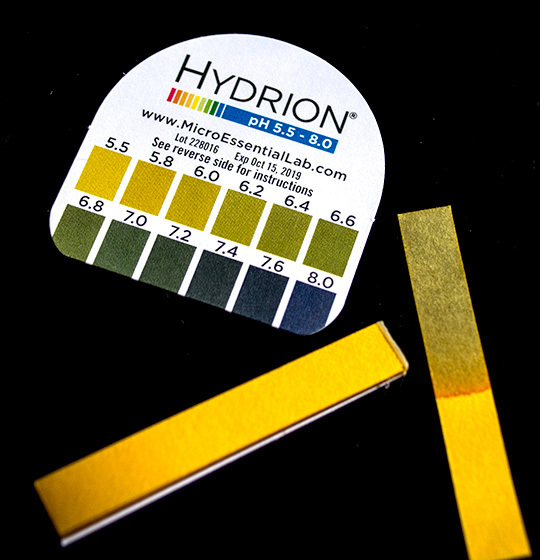 I consistently use pH paper to test my pH first thing when I wake up in order to have a more controlled test. My primary finding is that after a race my body is quite acidic (pH of 6.3). While in contrast after a day of rest and/or dinner consisting of lots of vegetables and spinach my body is quite alkaline (pH of 7.5 to 8). 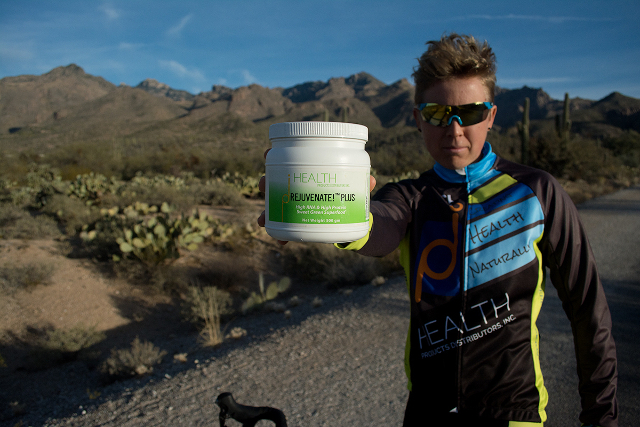 While in France and racing very hard, I noticed that taking pH Adjust every morning helped my body feel more balanced and avoid spikes of energy or tiredness. I could rest and sleep more deeply, and train with both greater quality and frequency. Wearing my HPDI gear. Products like pH Adjust and Rejuvenate! superfoods keep in me in top condition. After a month in France of hard racing and training, I began experiencing leg cramping due to the fatigue and travel. I remained consistent in my testing and taking pH Adjust through this difficult period. Initially, my tests were very acidic when the cramps began. Then as my diet consisted of just soup and salad (to hydrate and ease the burden on my digestion/kidneys) the pH test strips showed my pH to be more alkaline. Also, I read that bicarbonate could help with cramping as it acts as a buffer in the body. So I continued to take the pH Adjust consistently and even increased my doses by adding an evening dose as well, if my afternoon/evening pH test showed my body was acidic (below pH 7). 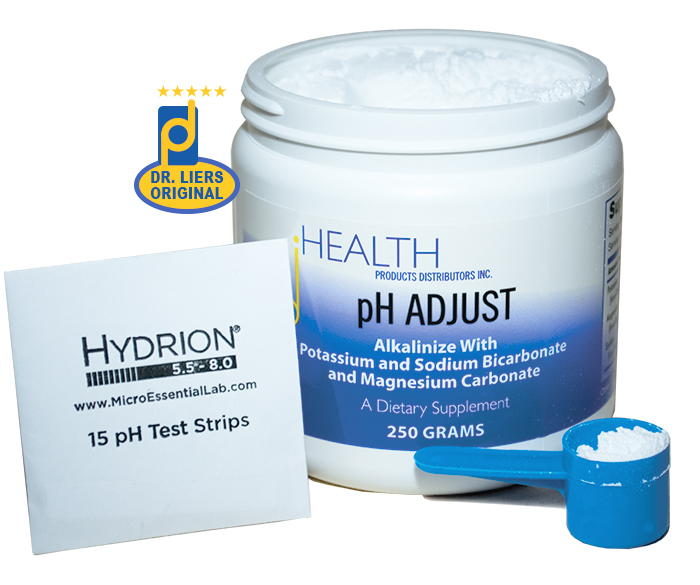 During the period of cramping I know pH Adjust helped to reestablish an alkaline environment in my body. This is important in order to heal from the cramping which creates a lot of lactic acid and fatigue in my muscles. I noticed the symptoms were reduced. During the cramping stage, I usually have cramping even when walking, but this time it was limited primarily to the bike. I recovered faster and felt better sooner, which I think is a result of the pH Adjust and the correct diet. 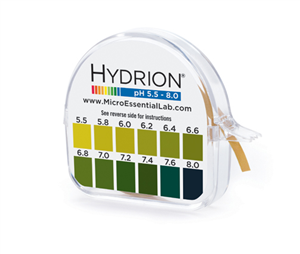 Testing pH levels with litmus paper guides my diet and use of pH Adjust. Even after travel and during my return to harder training I will continue to take pH Adjust as part of my normal routine. 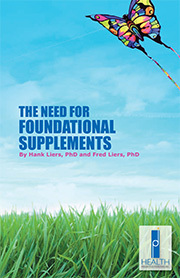 There is nothing else available or on the market that acts so specifically to balance the pH within the body. This is so important as we introduce and put many stresses on our body that take it out of balance. Whether it is environmental or nutritional, these stresses can lead to further problems. So simply taking pH Adjust every morning can help protect against these variables. I feel the difference when I am consistent in taking it, and my body is under constant stresses due to my work as a professional cyclist. 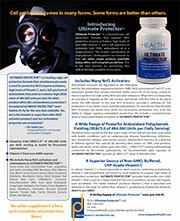 pH Adjust helps me maintain optimal pH levels—there’s nothing else like it. Last month I returned from Europe where I was suffering from some leg cramping, so I decided to do a body cleanup. I was still taking pH Adjust in the morning and my normal supplements, but I also wanted to do a 3–5 day juice cleanse. 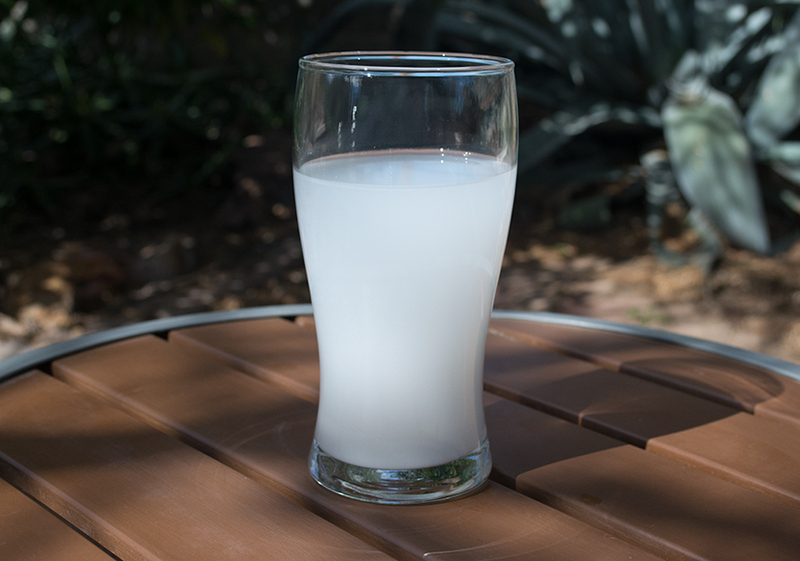 This helped the recovery as it cleans out my kidneys and gives my digestion a rest. Whenever I return from travel or racing I try to do a juice cleanse to reboot my system. The three day juice cleanse ended up being a great flush, and my legs were recovering very well after all the travel, racing, cramping, and stress. I did notice some feelings of fogginess in my head during the cleanse. But I was told that this is not uncommon to feel as it could be either from the reduced amount of protein entering the body, or because the toxins are being cleaned out of the system, so the mind is also readjusting to this as well. I have noticed that the more juice cleanses I do, the faster and easier my body adjusts to the fluid diet. I don’t feel hunger, but just craving for the juice and energy. As long as I have enough juice made and on hand, I don’t feel worried about my ability to nourish my body. Without intense training I really enjoy the cleanse and don’t feel the need or cravings for sugar or certain foods. It simplifies life, and allows me to focus on important things like training and my work as a pro cyclist. Pro Tip: When going through lots of stress on the body like exercise, illness, surgery, polluted environments, etc., increase the amount of Rejuvenate! superfoods in your diet and eat sardines. Both of these nutritional components will help speed up recovery time, and battle any incoming hazards and risk factors to your body. Pro Tip: Rejuvenate! superfoods support recovery after training and racing.